The Internet arguably one of the most important invention of the 20th century. It allows information to spread like wildfire; breaking news is what happened on Twitter fifteen seconds ago, entire encyclopedias are editable by anyone, and colleges and universities continue to offer great services to their students. But the real reason the Internet has grown so quickly and become ubiquitous is money. Plain and simple, the Internet has reduced barriers of all kinds for both businesses and consumers alike, and it is this driving economic force that continues to drive innovation and development on the web. The easiest way to take advantage of this ecosystem, to get your piece of the pie, is to have a well-designed, effective e-commerce site. E-commerce is no longer just about having a Yahoo shopping page, but rather a pleasing aesthetic that encourages consumers to peruse and shop as in a normal brick and mortar store. It also needs to convince them that your product is such a great investment that they should immediately part with their hard earned money. Just as in traditional physical stores, customer experience should be molded. An e-commerce site that has products arranged in logical ways and is easy to navigate by consumers will alleviate many headaches and keep customers returning. Maintaining a simple, elegant design will invite customers in and quickly show them the products they are looking for. An effective search function is vital to this. Along with the ability to search, care should be taken into what is shown to the customer. 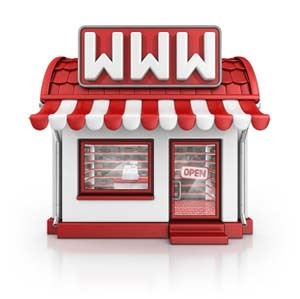 The first page of your website is much akin to a store front. It needs to show off the latest trends and special deals or promotions. This will entice the customer to then inquire further about one of those featured products. From this point, they can gain more information, see different colors or styles, or view similar items. One of the easiest ways to capitalize on a customer’s interest is by showing them similar items. Much like a salesman would offer to show other items that are either comparable, or would logically go with the item, such as accessories, so can a website cater to a customer’s shopping habits. It also gives you the option to push merchandise on which there is an overflow or sale to try and move it out of inventory faster. Now that layout, landing page, and similar items have been established, it is good to think about the E-commerce page design. The problem that many e-commerce sites run into is an overbearing aesthetic. Care should be taken to keep design elements organized and, in some cases, hidden when not needed. Just as a store that is piled floor to ceiling with every possible item a customer could ever want is going to have problems with organization and, thus, profit margins, a well-thought out design scheme will keep customers happy, familiar with new products, and raise profit margins. As everyone knows, the Internet is teeming with websites vying for customers’ money. One of the major indicators which separates highly successful businesses is branding. A consistent, well-designed and implemented brand will encourage repeat customers and a sort of grassroots following. One other thing to keep in mind is product sustainability. It is a selling point which is quickly growing in consumer appeal and can often open the door to many more customers if a sustainable, eco-friendly solution is in place. This can be as simple as having a “green” server and advertising that, or, looking further, establishing sustainability in production and shipping practices. Almost ubiquitously used on the Internet today is the shopping cart method of purchasing. This allows customers to keep all items they are looking at in one, central location and can ease shipping costs on the business. In addition, many companies offer special deals when a certain dollar amount is reached. A simple shopping cart icon with a label saying how much more needs to be spent for a discount may prove to persuade a customer to purchase additional items. Keep in mind that a simple, elegant shopping cart feature will be more effective than a flashy one that does not necessarily work as well. E-commerce, and E-Commerce Development, is a huge part of Internet business today. The consumer now has a literally world-wide marketplace in which to purchase items, and the key to maintaining customer loyalty is often a well-designed, easy to use e-commerce website. Keep these tips in mind when looking at developing your own e-commerce website and the gains will be great! When developing an E-commerce site, it is important to think about what will keep people on your site. Try to avoid Things that will make people leave your site.